Baby bootie knit patterns, a favorite for knitters, beginners and experienced alike. They are just wonderful for so many reasons, great for gifts, perfect take along projects. I just love them and have knit my fair share. I have included some of my favorite on this page. Knitting patterns for baby booties and socks including baby booties knitting pattern Mary Janes. May Janes baby booties knitting pattern featuring the special feature of a strap over the foot to hold it in place. Many bootie patterns will have a tie, or ribbon, or slip on in the case of socks, but the Mary Jane bootie is unique and recognized by all knitters. I have also included some free baby bootie knit patterns that I have found along the way. Some of the free sites require you to make a free account for yourself. Just because I include some free knitting patterns does not mean you have to like what I like, once you make your free account, go ahead and explore find your own favorite pattern. And a knitting pattern for socks using two needles is included in its entirety on this page. This is a free knitting pattern for baby booties on two needles. This pattern is a simple enough pattern that all knitters are going to enjoy it. No need to manage the four or five needle technique that so many find challenging. Just knit as you learned with two needles. So, don’t hesitate to enjoy your journey and explore the many choices of knitting baby booties. These are very cute Baby Booties knit patterns. These are on the easier side to knit using mainly simple stitches but if you need help with any of them, never forget about youtube. And they knit up quickly. And you can fancy them up with all sorts of cute baby buttons. These are very sweet and you will love putting them on your little one or gift them to a new mother to be. Bluprint, which used to be called Craftsy, is well known for their attention to detail and how popular their patterns and kits are. Their pricing is very reasonable as well. Enjoy exploring more of their patterns with confidence. I love knitting projects I can complete fairly quickly. I am always bombarded by lack of time. So to start a big project like an adult sweater or whatever gets burdensome as time continues on. That’s why baby knitting patterns are nice. They are not only sweet and very pretty, they are quick. Sometimes not so easy, I’ve done some really complicated ones. But all of them turn out so precious and special for an expectant mom. I hope you all love knitting as much as I do. To get Free baby bootie knit patterns CLICK HERE! In A Hurry? CLICK HERE to search many choices of Baby Booties Knit Patterns. This is a very useful Knitting how to knitting video, It will give you some great insight into how to master knitting baby uggs. The video also gives you another free knitting pattern for baby uggs. She posts the link in the comments, but for your convenience Here is the LINK for this pattern. I learned some nifty tips in this video, for instance I didn’t know the term “yarn front”, but in fact it is the same as a “yarn over” Hope you will find it useful too. And the little ugg boots in the pattern are adorable. So just stay calm and keep knitting! Knitting the little ballet flats are not only really cute but also so nice for baby, or maybe I should say baby’s mama, because the little slipper actually stays on the foot. This is another example of the Stay on baby booties we talked about previously. The little Mary Jane strap really help s Mom keep track of the shoes and baby’s feet stay covered and warm. 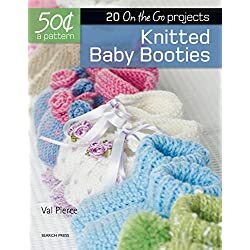 Some very fun choices for baby booties knit patterns and shoes. These bootie choices are unique and very attractive. Several patterns with different skill levels, so there is something for everyone. And as always depending on your choice of yarn you can have multiple unique booties from the same pattern. Many times you’ll find a pattern that just works for you. I enjoy knitting 3 or 4 different patterns and I knit them over and over. They are familiar, fast and go to. You’ll love these patterns. 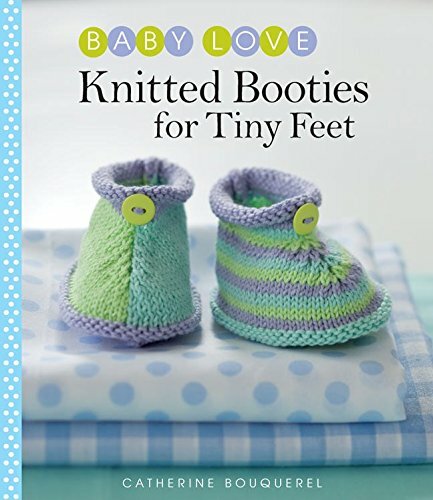 This adorable baby knit pattern book includes things other than just booties. But the Mary Jane baby booties knitting pattern included look like your baby is wearing little strawberries on their feet. How charming is that? And there are little lacy projects and even a little bumblebee. Unbelievably precious. You’ll enjoy everyone of them! These are the most precious baby booties and another of the baby booties free knitting pattern I have for you. Little tie on booties and they are actually designed to stay on your babies feet. No more lost booties when baby is kicking their delight. You can make them in two sizes to fit your needs. Either a 3 or 4 inch sole. This pattern works up very quickly and does not require a lot of yarn so you closet yarn stash knitters, this is for you. This is one of several patterns that you can find on the Knit and Scribble blog of Sharon Watterson. Click Here, to see all that is available on this very fun blog. 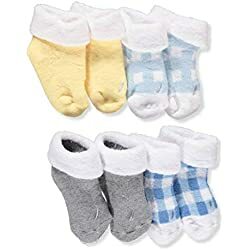 These are not your every day baby booties, these are so cute, unique, warm and just different. They are fun to make, you may think this is an advanced knitting pattern by the look of it, but this pattern is from Etsy and they do an excellent job of making you understand what you need to do to have a successful outcome. So don’t be afraid of this. Just take your time. 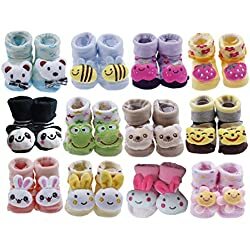 I have not made this particular baby bootie, but the 800+ reviewers say it is easy to understand and it gives a 4 1/2 star review. In fact they even include additional step by step instructions and pictures in areas that others have felt were confusing. This is an instant digital download knitting pattern that does not hold you up in your knitting endeavors. You can get started today. Etsy is one of my favorite places to buy from. Their artisans make the most beautiful, unusual and unique patterns there. In fact everything a bout Etsy is quality and customers rave about their products. Just read some of the reviews. Usually Socks or booties are made on four or five double pointed needles. It takes some skill and practice to master that technique. But this pattern only uses the regular two needle style of knitting, which is how we all learned. So don’t be afraid, give this a try. It is easy and very beautiful, and very comfy. And other stay on type baby bootie. Please enjoy another of the Free Baby Booties Knitting Patterns included for you, it is very fun to make since you don’t have to learn to use double pointed needles. 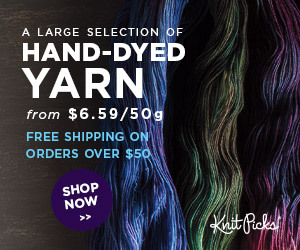 Just find your perfect yarn and get your needles and enjoy your craft. Materials: Size 2 or 3 needles (US) and sport weight yarn. Gauge: Approximately 9 rows and 5.5 sts= 1 inch on size 2 needles with Bernat’s Softee-Baby; finished bootie will be about 4″ heel-to-toe. However, the same pattern knit with Lion Brand Jamie will yield a large preemie to small newborn size. Cuff: Work K 1, P 1 ribbing for 24 rows. Row 25: K 11 sts, place these sts on holder or safety pin. K 12 sts. Stop and put last 11 sts on a second holder without working. Instep: Work center 12 sts-P 1 row, K 1 row-for 18 rows total, ending on a P row. K 2 tog, work to end. P 2 tog, work to end. Welt: K across 8 sts of toe. With free needle, starting at cuff end of instep, pick up 11 stitches along the left side of the instep by inserting needle in the little knots at the end of the rows. K these 11 stitches. Pick up the last 11 sts from second holder and K these sts. Turn work and K 30 sts. Pick up 11 sts from the right side of the instep, and K them. Continue working garter stitch (K each row) until there are 5 ridges, ending on wrong side. K 2 tog, K to within 2 sts of marker, K 2 tog, pass marker, K 2 tog, K to last 2 sts, K 2 tog. P 1 row. Repeat these last 2 rows twice. (40 sts remain on needle) Bind off. Sew seam at back of leg and down the sole. Tie: Crochet two 16 inch chains. 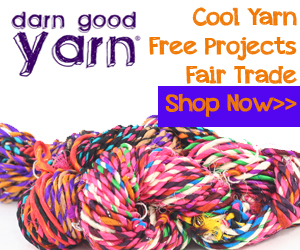 If yarn is very thin you may use double strand. Thread into cuff about 3 rows above the instep using tapestry needle to draw chain through, going in and out four times. If you Missed Anything, Here’s Your Second Chance! 16 If you Missed Anything, Here’s Your Second Chance! 15 If you Missed Anything, Here’s Your Second Chance!